Mario has discovered another Mushroom House, this one more secret than last. First auto-scrolling level of the game. This level focuses on platforms and brick assets. Mario receives his first 5-up of the game. Only basic power-ups are available in Mushroom House 1. Today's entry represents a well deserved break for both Mario and myself. Mario soars to new heights and goes behind the scenes to find a big surprise. Well it was to me, once upon a time. There are a few unique elevations on these hills. It was a bit confusing at first but eventually I figured it out. The first world has been completed. For each post I will include some highlighted scenes as well as a level map. Day two and I am seeing double-wide Commodore pixels in my dreams. The Commodore 64 was my first and most beloved computer of all time. As a child, I always dreamed of porting NES games to my aging C64, particularly the Super Mario Bros. series. 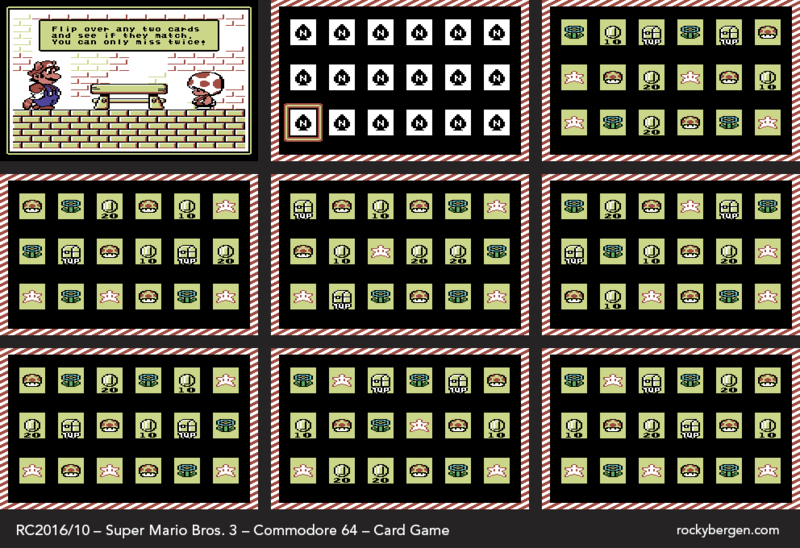 More examples of my Commodore Mario graphics.